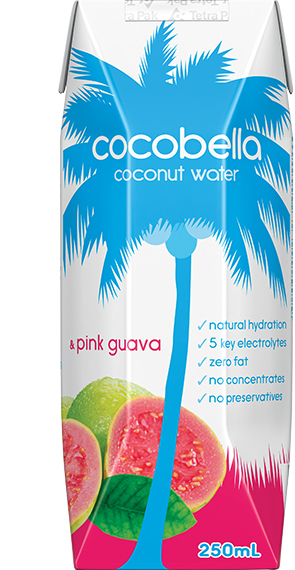 Made with the water from inside young green coconuts blended with the familiar fruit flavour of delicious pink guava. Store in a cool dry place out of direct sunlight. Refer date code printed on top of pack for best before date. Keep refrigerated after opening (1-4dC) and consume within 5 days. Notes: Nutritional values may vary naturally due to changes in seasonal conditions. As we do make changes to the recipes and nutritional values of our products from time to time, if the values written in the nutritional information panel on the product packaging is different to the values shown on our website please follow the values written on the product packaging. This product is available to purchase in-store from select Australian retailers and to purchase online.